With rich industry experience & knowledge, we have been able to provide the best array of Escorts Diesel Engines Pump. Kaleshawari Power Product Pvt. 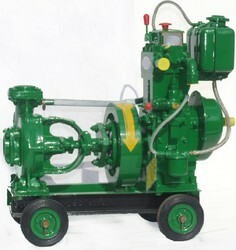 Ltd.
We are offering a high-end quality of Diesel Engine Driven Pumps to our clients. These pumps are excellent in functioning, robust in construction and corrosion resistant in nature and widely fitted in diesel engines. We offer Diesel Engine Water pumps to lift water from 20 ft to 50 ft complete unit Diesel Engines too we can supply from 5 H.P. to 104 H.P. 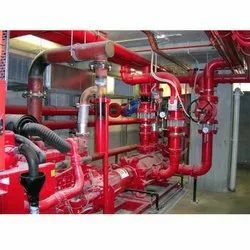 used in Agriculture and firefighting industrty. Vidhata Pumpset 5H.P, 6.5H.P, 8H.P, 10H.P, 12H.P, 15H.P, 20H.P, 28H.P. Capacity 2280LPM at Head 60 Meter. Kirloskar make End Suction Pump In Bronze Impeller, & C-40 Shaft Coupled with Kirloskar make Diesel Engine, 60 BHP 1500 RPM 24V, on M S Fabricated Base frame, Coupling, guard, Fuel Tank, Battery, leads & AVM Pad.